LAMP (Short form of Linux, Apache, MySQL, and PHP ) Stack is the most popular environment in PHP website development and web hosting. Where Linux is an operating system, Apache is the popular web server developed by Apache Foundation, MySQL is relational database management system used for storing data and PHP is the widely used programming language. This article will help you to Install Apache 2.4, MySQL 5.7 and PHP 7.2 on Ubuntu 16.04 LTS Systems. PHP 7 is the default available packages in Ubuntu 16.04 repositories. Simply use the following commands to update apt cache and install PHP packages on your system. After installing PHP on your system, let’s start the installation of Apache2 in your system. 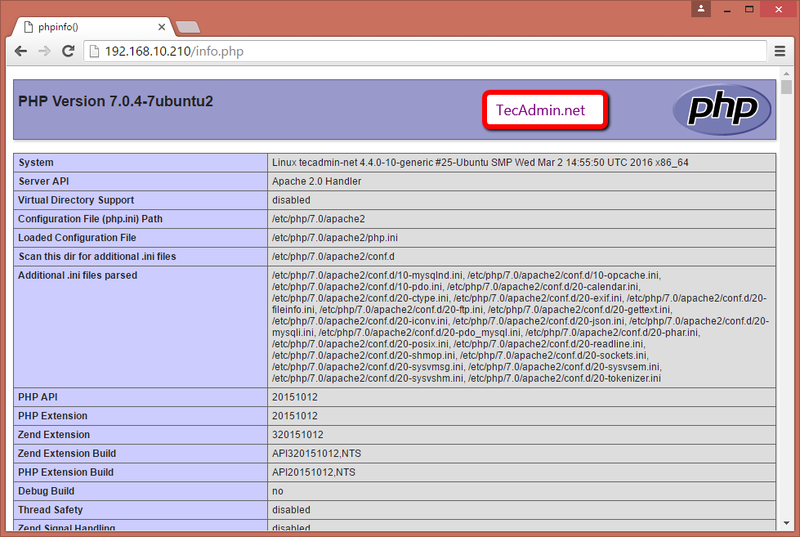 Your also required to install libapache2-mod-php module to work PHP with Apache2. Finally, install mysql-server packages for MySQL database. Also, install php-mysql package to use MySQL support using php. Use the following command to install it. The installer will prompt for root password, This password will work for your MySQL root user. After installing MySQL execute the following command for initial settings of MySQL server. You will see that script will prompt for more settings than earlier MySQL versions like password validation policy etc. You can also install phpMyAdmin for the administration of MySQL using web interface. After installing all the services on your system. Restart MySQL and Apache service to reload any changes done manually. The systems with iptables/ufw enabled, execute the following commands to open port 80 for public access of web server. After completing all setup. 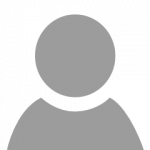 Let’s create a info.php file website document root with following content. Now access this file in web browser. You will see the screen like below with all details of PHP on server. Before you enter the command “sudo apt-get install python-software-properties”, you have to update your machine (Ubuntu 16.04 LTS x64) with “sudo apt-get update”. What about phpMyAdmin?? Does it come with the MySQL installation? Perfect! after following instructions i now have a website, which is running well! No issues after installing and rebooting the server. Apache2 , MySQL are working but PHP is not working, displaying the real code instead of the result. Still doesn’t work. I tried “sudo apt install libapache2-mod-php”. It says I’m on the newest version.